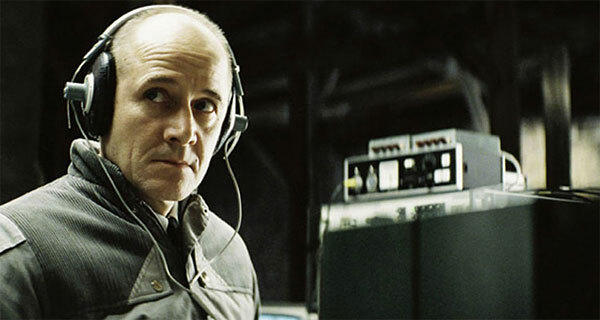 Posted on February 11, 2014 March 3, 2015 by Sarah R.
Stasi surveillance was strictly analog during the Cold War, as portrayed in the film The Lives of Others. The power to spy on the everyday lives of people in the digital era makes the East German apparatus look quaint by comparison. Today global civil society and privacy advocates draw attention to the mass surveillance that digital life and tools – and the complicity of corporate entities – has engendered. The NSA and Edward Snowden scandals are just the latest revelations in a crisis that has been growing for years; witness this Wired article that discusses whistleblower Mark Klein’s divulging of AT&T’s secret surveillance closets back in the early-mid 2000s. Critical to the Snowden affair is an understanding of the role that independent investigative journalism, unfettered by deep corporate ties and media conglomeration, has played in making the information available to a world audience. For that, we largely have Glenn Greenwald to thank. His fearless reporting has led to him living essentially in exile and to ongoing harassment of both him, as well as his partner. Resisting mass surveillance in the digital age carries with it a large cost. Yet what Snowden, Klein, Greenwald and others have revealed is a stark truth: the ease of digital information capture, transfer and replication is, simply put, too strong a lure for the government and corporate entities/enablers/informants to resist. These surveillance programs, under the guise of national security, put Cold War-era analog programs to shame. It is an irresistible power that, unchecked, will continue. Like most people involved in any sort of political action or advocacy and now in my 21st year online, I have long assumed that what I do and say and to whom I say it online is being collected by someone, somewhere. I am inclined to feel resigned about this fact, and go about my daily life. But I am increasingly aware that this sort of lax cynicism is not good enough anymore. While technologies such as Tor and others are being developed to respond technologically to the need for privacy and security for any number of legitimate applications, these maneuvers are likely not good enough and, furthermore, often raise the suspicion of the watchers just by being used. The only way to even begin to respond is to demand transparency and disclosure laws, and to continue to hold the government and those aiding and abetting them, such as AT&T, accountable. For more information, visit https://thedaywefightback.org.